Back at with Shein, in one of my favorite color trends of the season. 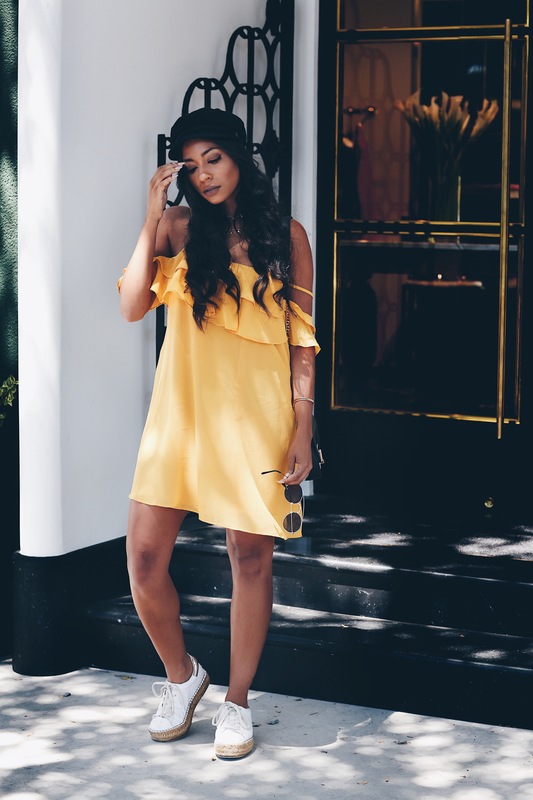 Modern Mustard is the latest hot hue and as gloomier days are slowly arriving, it’s only fitting to contrast that by rocking a bright color like mustard yellow. The deeper shade of yellow is considered a less intimidating color to wear over its vibrant and sunny counterpart. This year, we are seeing the color on the runway worn from head-to-toe including accessories and shoes. I have to say, personally I’m in love with this color right now. So it only made sense when I fell in love with this playful yet summer chic Shein Dress. The mustard hue looks great with my skin tone and I think mustard has an automatic warmth to it. I really wanted to bring more color into my wardrobe this summer, take a break from the usual white or black pieces I tend to buy. This yellowish green color isn’t for everyone, if the color doesn’t suit your skin tone, opt for a striking belt, bag, or shoe. If you’re crushing on this dress as hard as I was, then your going to die when I ell you the price! You can shop this summer dress for $20.00 dollars. Talk about summer steals and deals. 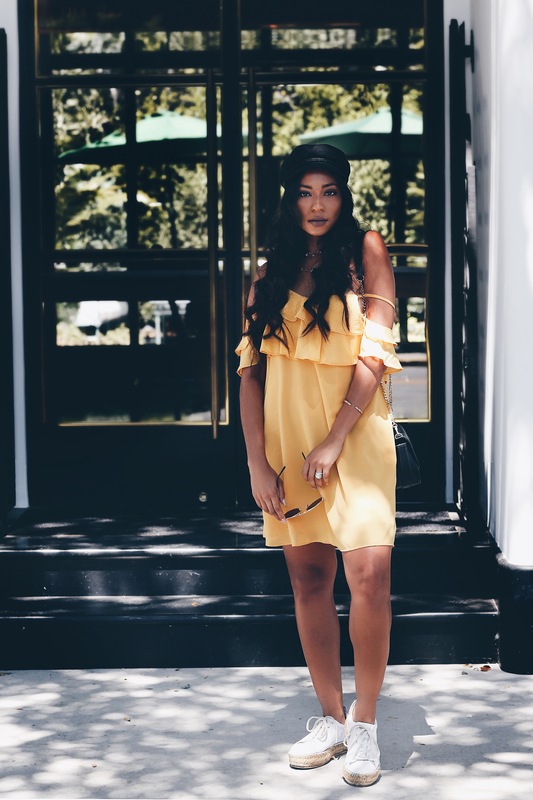 SheIn is a contemporary women’s fashion brand at affordable prices to show you babes some of their very stylish and trendy summer fits. SheIn is for the fashion forward yet classy girl, the effortlessly cool and unafraid to venture into different styles girl. SheIn is the ultimate one-stop-shop for the modern yet economical fashionista’s. SheIn prides itself in offering on-trend styles catering to all style fashionistas, without having to break the bank. SheIn is able to stay on top of the latest fashion trends from around the globe while rapidly bringing these styles to market. So whether you’re searching for boho dresses, graphic tees, blouses, pants or chic swimwear you’ll be sure to find exactly what you’re looking for.